Again, don't be fooled by the colours (Blue is Red and Green is Blue ). Parate! Opugare! Ad victoria, Pars caeruleui!! 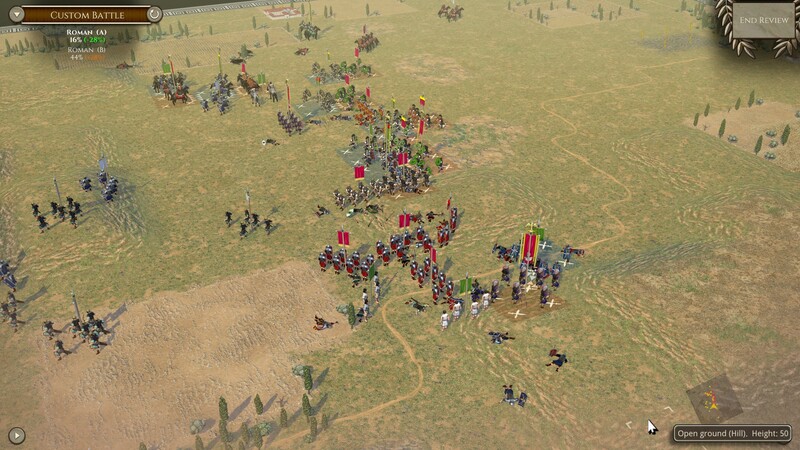 Battle in Gaul is met. Impete! Repellete! Ad victoria! The Riconii Franks are defeated. The Frankish chieftain, Ricogenitrix, was cunning, fierce, and formidable. 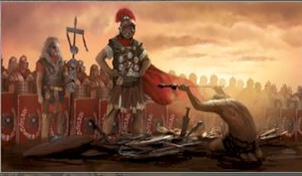 Roman Legions provivded anvil supreme. Roman Equites smashed as Vulcan's own hammer. 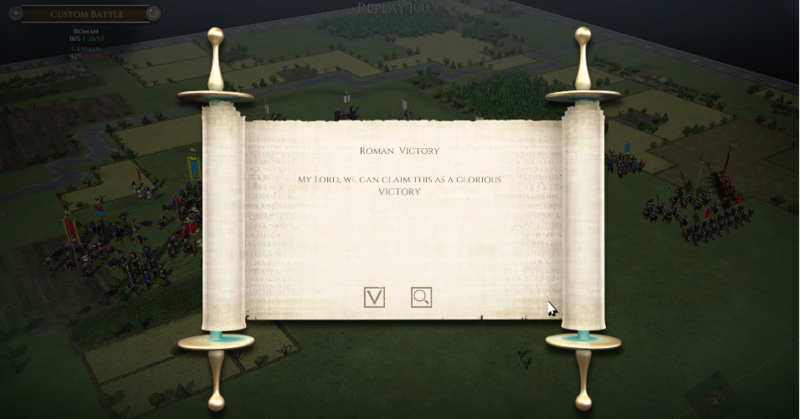 Fortuna smiled upon the sons of Rome. 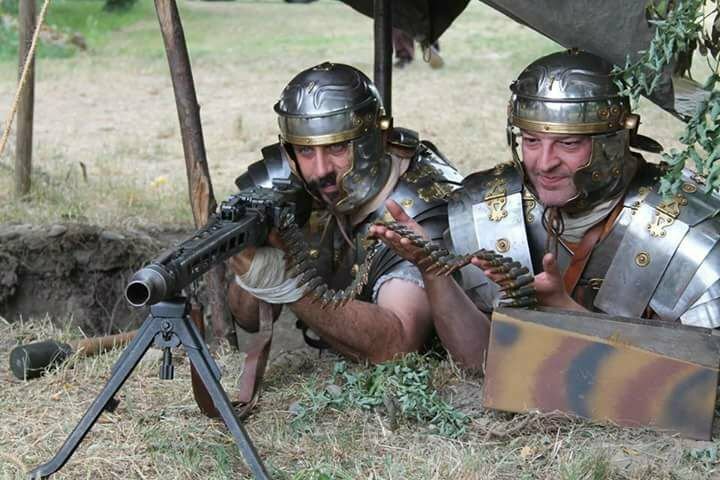 Ave Caesar Wellsonius! 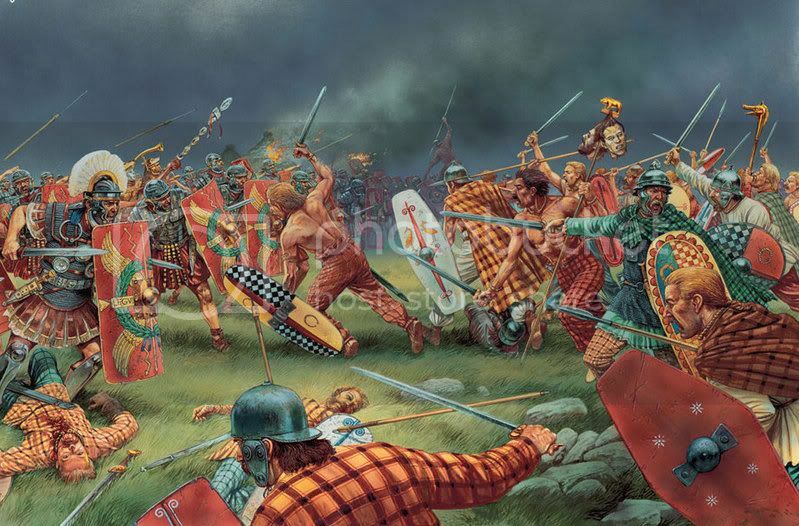 In recognition for your Bravery and Excellence in defeating mulitple Barbarian tribes hailing from our Eastern borders, I have arranged for the Senate to confer upon you the honorary title of "Germanicus." Well done Badgerius Germanicus! Dominus is generous!! Ave Caesar Wellsonius!! 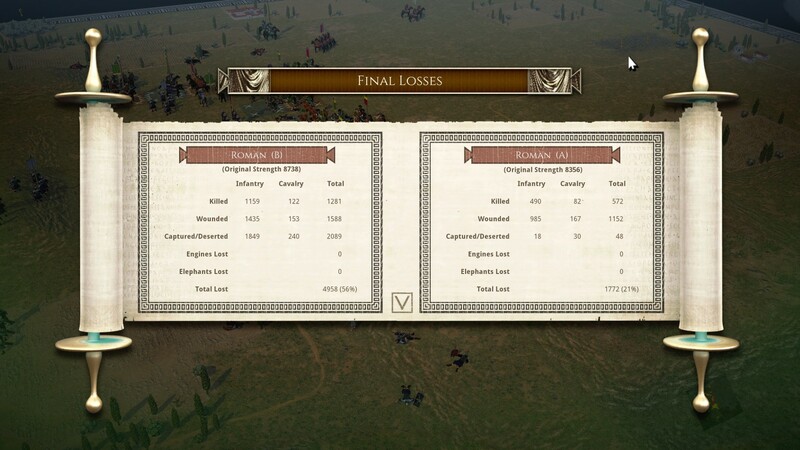 Indeed ... the damn Roman legions just have too much staying power once in close combat melee and the first Barbarian charge dissipates... well fought, @Badger73 -- thought with all the maneuvering we might have run our of time there. Indeed ... <snipped> -- thought with all the maneuvering we might have run our of time there. I too was concerned that time might run out. Still, I wanted your backs to the river when I attacked. It was a near run thing. Well played, @Rico. The rebel legion in Africa has been destroyed and the wannabe usurpers have been put to the sword . We now prepare for a siege to fully capture the province. Salve Maddius Micus. 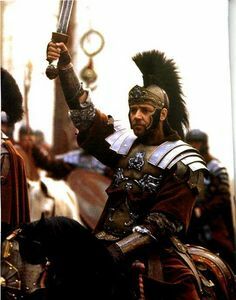 Ave Caesar Wellsonius!! Seize the capital, and you too will be showered in glory!! 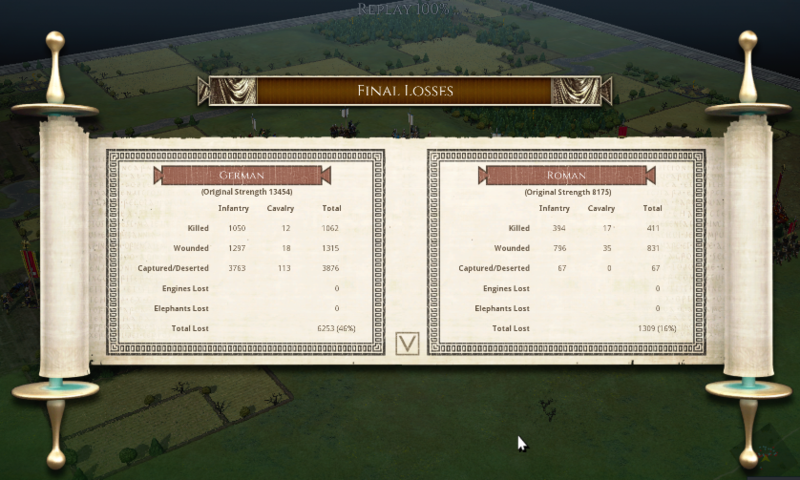 I have my suspicions the Romans are a little over powered in this game. 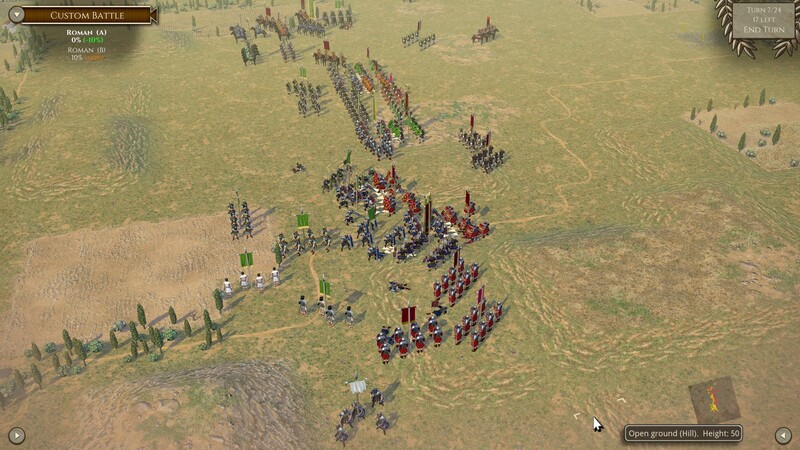 How is the 2nd battle for PANNONIA proceeding? Two thirds of the way through I reckon, unless my troops all rout next turn. Another close one.....we are hovering at -1/+1 all game. Any more dispatches from the battlefields of Pannonia? We had a short break for Nathangun to handle some urgent business, but are back at it as of this morning. We also appear to be in exact opposite parts of the globe, so multiple turns per day are rare. We are plugging away though. @Wellsonian has gotten the better of me, a close run thing for a while then my center broke and it was downhill from there. @Nathangun … not to worry, just let me know the commanding officer and we will send him some lions to play with.